Southport is the home of elegant shopping in classic Victorian surroundings, with unique speciality shops and stores side-by-side with all your famous high street names. Southport is a seaside town, perfect if you want a wonderful shopping experience with a huge range of shops and boutiques. From multinationals to unique, quirky independent businesses there is something for everyone. 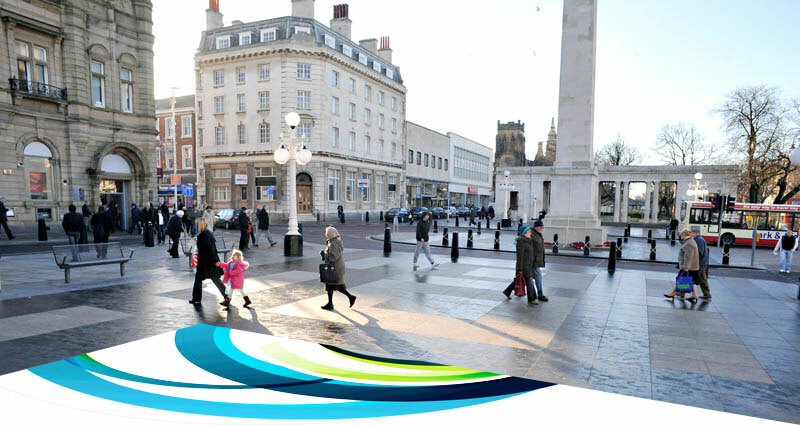 Southport is also home to modern retail Park Central 12, which has free parking and houses stores such as Asda, The Range and Outfit and the stunning, Victorian Wayfarers arcade shopping centre on Lord Street. As well as numerous shopping outlets, Southport is known for its vast choice of high quality bars and restaurants. From Indian to Chinese to Italian, Mediterranean and Spanish to the even more exotic, there is a cuisine to suit everyone’s tastes and service which leaves you wanting to come back time and time again. Southport is a family orientated town with many regular events centred around providing a friendly fun atmosphere for children, their friends and family members. From fireworks in October and November to the Christmas lights switch on to concerts in the summer months, Southport has a varied calendar of exciting goings on, many of which that are free to attend. There are also many open spaces and parks which are clean, beautifully cared for and perfect to while away a few hours on a Sunday afternoon. Unfortunately we cannot guarantee wonderful weather during you trip to Southport but we can help you plan your visit by offering a weather link which provides you with all the information you need to know about the local climate and conditions. However, come rain or shine there is lots to keep you occupied with both indoor and outdoor activities. If you're coming by car, check out our link for the PARK + RIDE as it will help you home in on a convenient parking spot from as little as £1 a day.